Why doesnt my motor make power? Ok... I have an LQ9 in my 2nd gen Camaro. The spec of the car and motor is in my signature. Thing is it doesn't perform any where near like I think it should or compared to others. My best run in the car is in this video. [email protected] with 1.80 60' (street tyres). I've run faster at 105.4, but higher ET. I was expecting the mph number to be more like 112/114. I've verified the advance with a timing light and know it's correct. I've also checked cam timing. Anyone with any input of where I should look? Wow yeah that's not right lol. What exhaust and intake do you have? Stainless long tube headers with 1 7/8" primaries. Rest of it was 2.5" with x-pipe and thrush mufflers. I've just ripped that out and fitted a 3" pypes system with race pro mufflers. Haven't run it with that yet to see if there's any difference. Intake is a sheet metal one, same as the TSP one. 102mm throttle body. And it definitely gets full throttle. 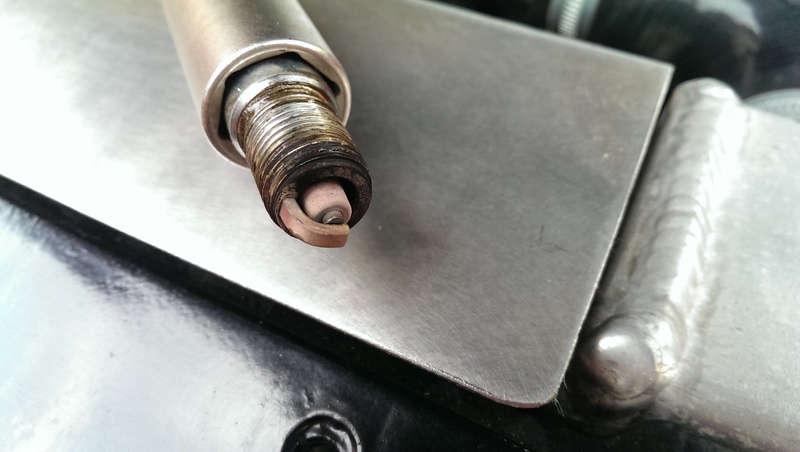 Converter is an FTI SRLT 4000rpm stall hard hit. Man I'm at a loss. I run a LQ9 with a cam almost identical to yours, and am WAY faster than that lol. It sounds healthy and runs OK. I've bumped the ignition timing up to 27 deg ready for my first pass tomorrow. My last was at 25. I went out on a local private road and did some playing. The shot below is from the datalog. AFR at 12.7, 26.9 deg advance. When I got home I puled #1 plug to have a look. Large image in the link below. That's with a 1.77 60', lots of wheel hop and street tyres. I gradually increased the timing over 6 runs, 1 degree at at time until I stopped picking up speed and then backed it off a degree. My first run with the timing table I previously posted was [email protected] but I had 20yds of wheel spin out of the hole. Started at 24 deg and ended up at 30 deg for the quickest run. Also fitted a 3" exhaust system with turbo style mufflers rather than the 2.5" chambered ones I had previously fitted. My AFR is a bit low at 12.4, so pulling a bit of fuel out of the VE table should help pick up a few more MPH. One question, did you degree the cam in, and make sure it was correct? Just guessing, but sounds like the cam is off. If I had not degreed in my cam, it would have been ~4* off. Quick Reply: Why doesnt my motor make power?